Home>News of Construction and Building > Dubai begins work to break a world record held by… Dubai. Dubai begins work to break a world record held by… Dubai. In what is becoming common practice, Dubai, the most populous city and emirate in the United Arab Emirates (UAE), has officially begun work on construction the world’s tallest building, name ‘Dubai Creek’. The city has one of the most impressive and modern skylines in the world and already boasts the ownership of the world’s tallest tower; the Burj Khalifa stands at a staggering 829.8m, almost a kilometre high but this is not enough and the Emirate has begun the construction of a taller structure. Emaar properties are the contractors whom have been entrusted with the responsibility of undertaking this record-breaking project. The company announced that the tower will be a ‘notch’ higher than the Burj Khalifa, which will make it the world’s highest man-made structure, and the project is due to be completed by 2020. 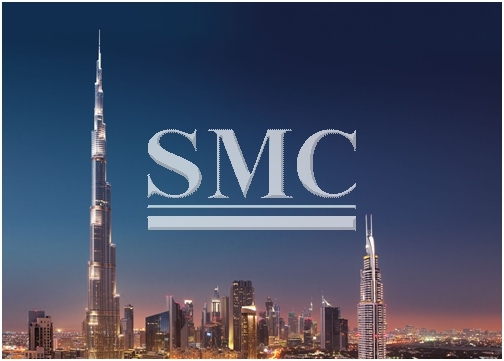 The Emirate’s ruler Sheikh Mohammed bin Rashid al-Maktoum was obviously pleased with the job done on the Burj Khalifa because that was also developed by Emaar properties. The project is no doubt going to cause a significant amount of controversy within Dubai and receive a share of negative publicity, with questions being asked over whether this is the most efficient way to be spending what is expected to be around $1 billion. On October 10th 2016, the foundations of The Gulf emirate’s ruler, Sheikh Mohammed bin Rashid al-Maktoum, marked the groundbreaking of The Tower at Dubai Creek Harbor as construction workers laid foundations for the skyscraper at a vast patch of sand. However, although it will still no doubt look impressive, the inspiration behind it being the largest structure in the world could be in vein; when you consider that Saudi Arabia in the process of designing what is going to be a building that rises to over 1km in height.